Curved home furnishings are nothing new. They have been around since King Arthur and the Knights of the roundtable. Using curved design elements can bring comfort and equality to space and create a sense of balance in a room that may have lots of straight lines, square and rectangle shapes. Over the past decade, there has been a significant focus on straight, clean lines. 2019 is the year that the curve will be making a comeback. As you plan your home design for the new year, think about how you can add curved elements to your home. Here are a few great tips when staging a home that features curved architecture and design elements. 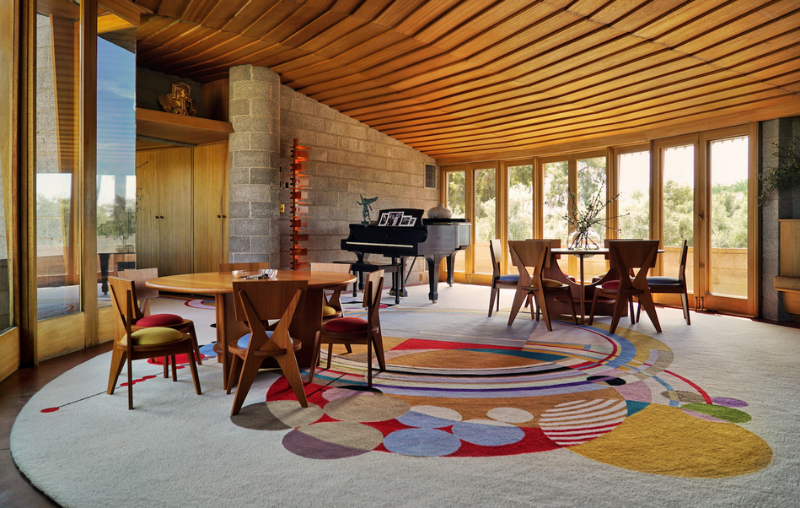 Historic House by Frank Lloyd Wright. Image by High Ground Inc. When you add curves to a home, it can bring all the other elements together. 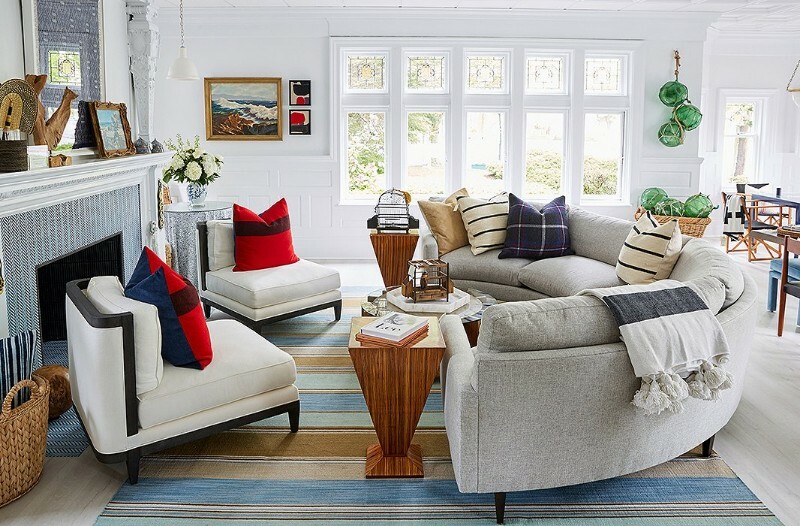 Instead of using straight lined, box style chairs, this staging used curved mid-century modern chairs which creates a warm and inviting environment making the outdoors a nice view for casual and relaxed conversation in this living area to ensue. This is a fun, “mixing it up” approach in an otherwise contemporary space, but the chairs curvy design keeps this living room from feeling too fussy. Another way to bring contrast to a living room is to add a large curved sectional couch like this one. Smaller curved accents help bring the space together like the round end table, basket and gorgeous glass accents on the far wall. One Kings Lane has a roundup page with beautiful curved furniture here. Curves are chosen for many different reasons. But one of the most obvious is for the spectacular views. This outdoor living room is a combination of neutrals and straight lines. 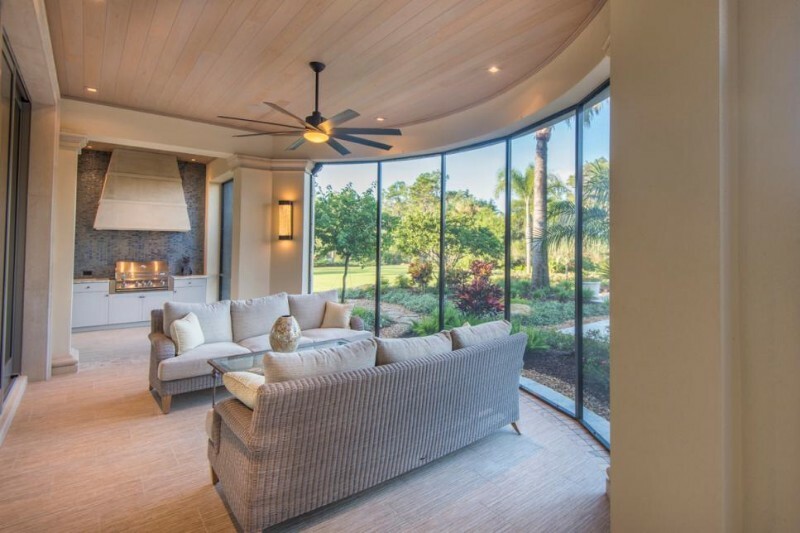 But the beautiful curved picture window creates an undeniable focal point. It’s easy to imagine how many hours you would spend sitting down watching the beautiful world outside. What a gorgeous ocean view. 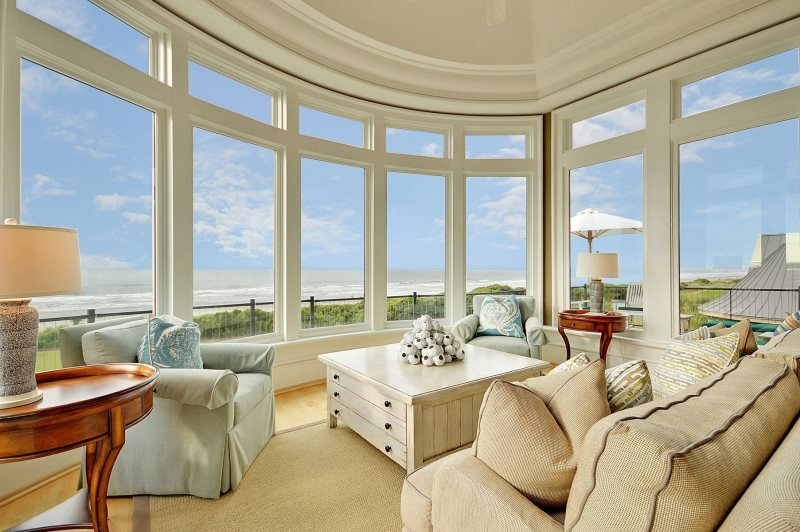 This living room layout utilizes the perfect balance of curved architecture with a beautiful picture window overlooking the ocean. The room is appropriately staged using square chairs and a coffee table that brings overall harmony and comfort to this living room. 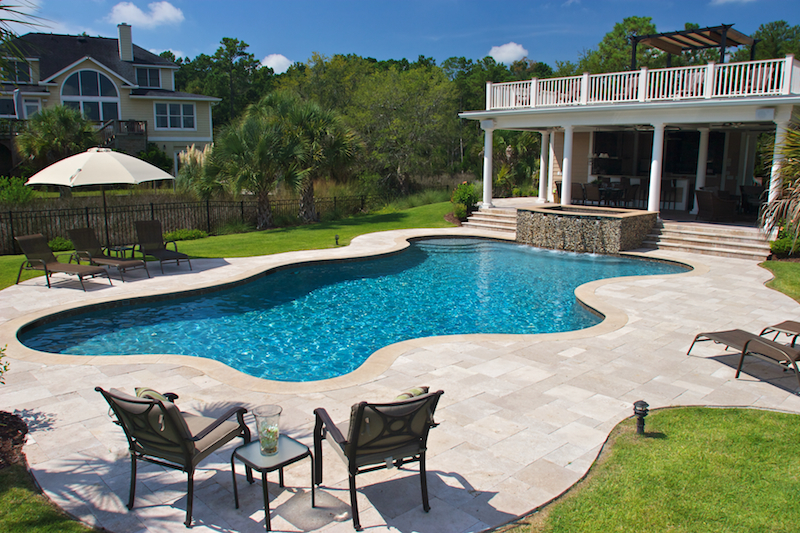 Curved swimming pools are also making a major comeback in home design and architecture. 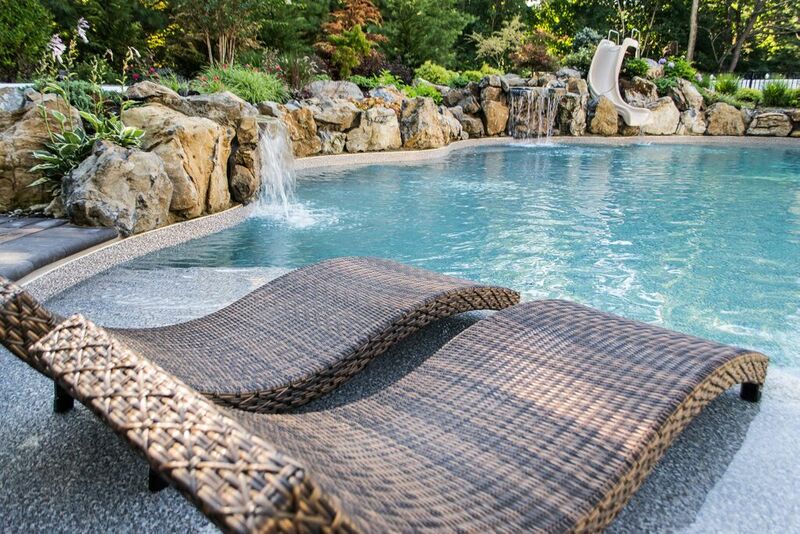 Homeowners are doing fewer laps in a rectangle swimming pool and are sending more time relaxing in beautiful curved swimming pools that are designed to be an oasis, created to be a place to escape and relax. These curved lounge chairs provide a little extra style to this ocean-themed swimming pool design. The use of curved lines with linear ones create a harmonious placement balance. This wide front hall has plenty of room to display a beautiful solid wood curved staircase with an elegant contrast of dark wood against white walls. 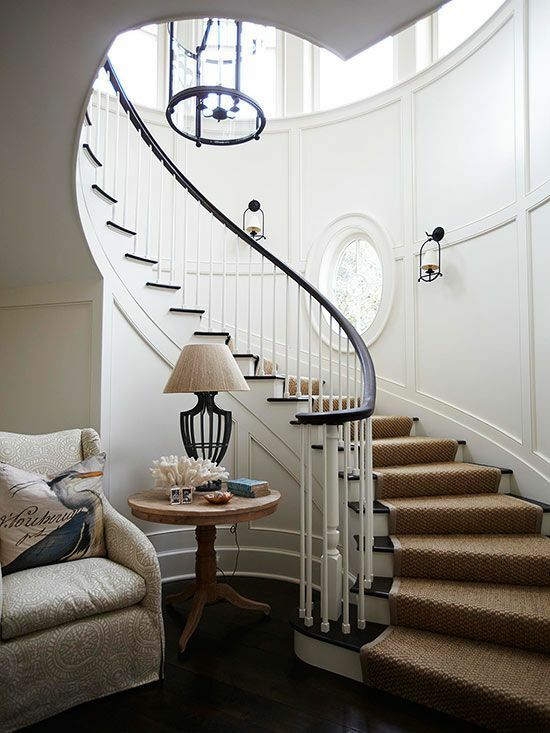 The sisal stair runner softens the look of the wooden risers and overall is a definite focal point upon entry and a feature that is guaranteed to leave your guests in admiration. 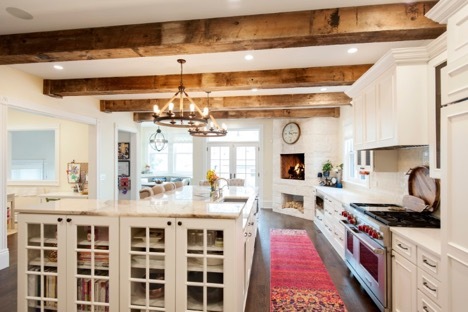 The kitchen is another area of the home that uses mostly straight linear lines. It creates an element of surprise- softens the room by adding round chandeliers. Check out this gallery on NewMoms.org for round light fixture inspiration.